Metal implants in the body, including joint replacements, plates, screws, and rods, can set off metal detectors at the airport. For many years, patients were given wallet-sized ID cards from their doctor to inform the security personnel of their implanted metal. These ID cards are generally not needed, and seldom issued by physicians any longer. The reality is that security personnel will handle the fact that your implant set off the metal detector the same, regardless of whether or not you have an identification card. In the U.S., the TSA will accept a card or other medical documentation, but it will not change the way you are screened. Patients with pacemakers are asked (but not required) to carry an ID card, but patients with orthopedic implants, including joint replacements, do not need special identification. Again, the TSA does not discourage you carrying an identification of your implant, but it does not require that you do so, and ultimately it doesn't change the way you are screened. 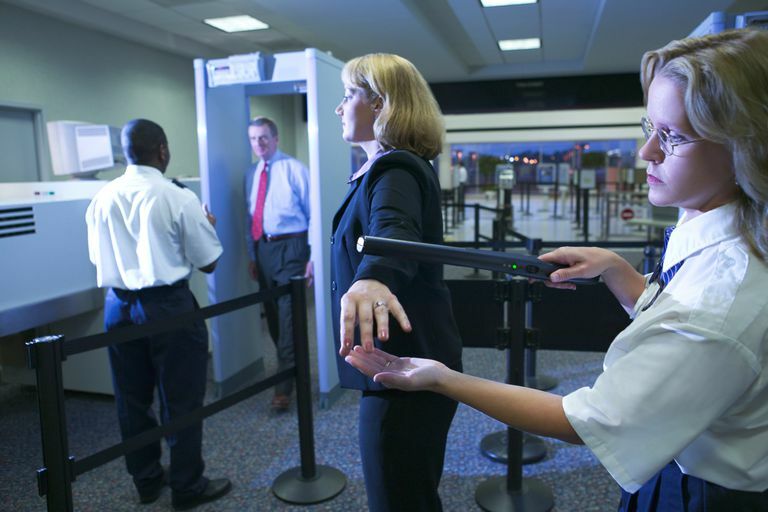 If your implanted metal sets off an airport metal detector, you will be asked to proceed with a secondary screening. This may consist of using a wand or a pat-down to ensure that the metal is inside your body. Some modern screening devices can detect these implants and prevent further screening. It can be helpful to wear loose-fitting clothing so that you can reveal your surgical scar, however, the TSA clearly states that is not necessary. It is not required that clothing be removed or lifted to demonstrate your surgical scar. Will an Artificial Joint or Implant Set Off Airport Metal Detectors? Can You Be Allergic to Your Metal Artificial Joint Replacement?